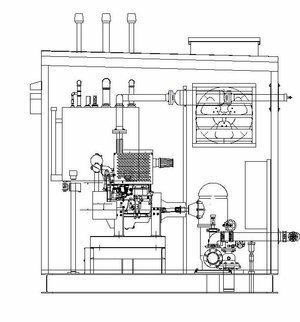 When the need arises for an underground/below grade (non-pressurized) water source, the only option available per UL/FM & NFPA requirements is a vertical turbine fire pump. Capacities range from 250-5000 GPM with electric motors or engine-driven units with right angle gear drives. Materials range from cast iron/bronze fitted to special materials like NiAl Bronze. Our multiple pump sources ensure the most cost-effective, performance-driven system to our clients. As with all of our electric-driven systems, our packages can be configured with any phase, voltage or controller starting method required. Single or multiple pump packages present no problem to our superior design and production teams. Diesel-driven vertical turbines are no problem for our team at Geo-Systems USA. These systems include drive shafts, right angle gear drives, cooling loops (for engines & drives, if necessary), relief valves, fuel lines (SS) and automatic air release/vacuum breakers. 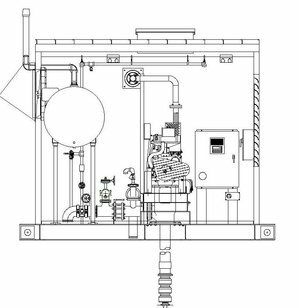 Ensure your diesel-driven, vertical turbine fire pump system installation goes as smoothly as possible with a Geo-Systems USA prepackaged fire pump system.